At the helm of the Bastrop Chamber of Commerce, Becki has had significant accomplishments. They include graduating from Chamber Institute Southeast with her Institute for Organizational Management (IOM), a complete Content Management System conversion, a re-design of the Chamber website, the launch of 2 additional websites for chamber initiatives, transition from 'Fair Share' to "Tiered Due' membership investments, coordinated board training, strategic planning, hired new staff and quickly established herself as the “Voice of Business” with members, community leaders, & government officials. 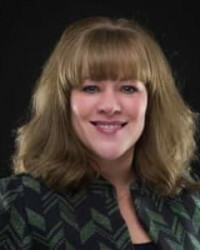 She has taken an active role in local politics and community issues including a School Bond, “We Believe in BISD” campaign, launched BastropVotes.com and is a Board member of Visit Bastrop, Destination Marketing Organization (DMO). 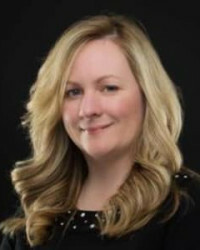 Mari Tipton comes to the Chamber from the State of Michigan, with experience in auditing files, accounting, and time keeping processes. She was the designated liaison regarding patient grievance and staff charting issues dating back to 1995. She is a graduate of Ypsilanti High School in Ypsilanti, MI and Ross Medial Institute in Ann Arbor, MI. Ms. Tipton is married to her husband Granville and has two grown children. Granville is a registered nurse at the Federal Corrections Institute in Bastrop. The Tipton family visited Bastrop on vacation in March of 2017 and decided to make Bastrop their home later that year. They became official Bastropians in March of 2018. 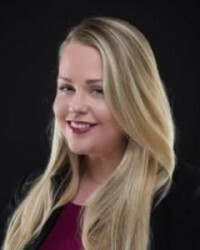 Sarah Houser comes to the Chamber previously serving as a Member Service Representative with Bluebonnet Electric Cooperative with experience in assisting members with account issues, questions and concerns. Sarah uses this same experience to engage our membership and get them connected with the Chamber. Ms.Houser is currently attending Austin Community College pursuing an associates in Hospitality Management as well. Chris White comes to the Chamber previously serving part-time at the City of Bastrop as the Assistant Storyteller and part-time as a Perishables Rep at Bastrop HEB Plus, all while going to school at the Art Institute of Austin. 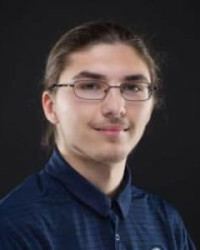 As an Assistant Storyteller, he has done video production, graphic design and infographics for social media, website graphics and banners, and event graphics and photography. Mr. White is no stranger to the Bastrop Chamber, as a student at Bastrop High School he worked behind the cameras in 2016 for our first BastropVotes.com candidate forums.